Then Again, What Do I Know? : Who Wants To Run? One of my favorite ways to exercise is to go on a nice run. I almost wrote “long” run, but I’ve been a runner long enough to know that what runners consider a long run can vary greatly. For some, a half mile run around a park is plenty. Others like to run 5K or 10K races. Some take it to the next level and run the 26.2 miles of a marathon. (That’s the furthest I’ve run at one time). But there are those for whom running 26.2 miles isn’t enough. There are ultra marathons, with distances of 50 miles and even 100 miles. I just recently learned about the Self-Transcendence 3100 Mile Race, which Wikipedia says is the world's longest certified footrace. Runners in this race negotiate 5649 laps of one extended city block in Jamaica, Queens, equal to a distance of 0.5488 mile. 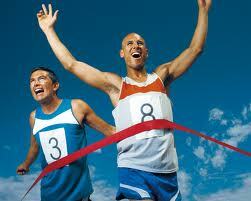 The runners have 51 days in which to complete the distance - an average of 60.78 miles every day. Training properly is naturally going to look very different when training for a 5K race versus training for a 51 day 3,100 mile race. Which leads me to my real topic of the day. What do you think of when you hear the phrase long-term care? Adult day care? Nursing homes? Institutions? Regional Centers? For the vast majority of the people we serve, those options are not reasonable. Long-term care connotes a type of service that is not progressive. It is common for long-term care to provide custodial and non-skilled care. There are no goals to be met or challenges to overcome. The philosophy behind long-term care is one of maintenance, not one of achievement. I have been stewing on this subject for weeks. I did not choose this profession, and I think I can safely speak for many of my colleagues when I suggest that they didn't choose this profession to simply provide maintenance and custodial care. We are in the business of life-long learning. We strive to provide opportunities for the individuals we serve to achieve and to build fulfilling lives in their homes and their communities. We seek to achieve community engagement through employment, recreational, and neighborly activities. As a result, people we support can contribute, worship, and play, instead of expecting to be on the receiving end of custodial care. Want to see evidence of that fact? This link will take you to a list of websites for members of Alliance, an organization dedicated to enhancing and strengthening community services and supports for people with developmental disabilities in the state of Colorado. If you click on any of the website links, you will quickly see some common themes developing. You’ll see words like “ability,” “community,” “opportunity,” “choice,” and “participation.” What you won’t see is reference to long-term care. The communities and organizations that have built the system of services for some of our most vulnerable citizens never intended for those services to simply be about maintenance and custodial care. They were meant to provide much more than that – things like the opportunities to dream big and to work hard to make those dreams come true. I don’t think there is ill intent by those who conveniently apply labels, however, the current funding system we’re using is not in concert with making even the smallest dream come true, and it hinders our ability to build meaningful and life enhancing services in the future. The people we serve want to run many races, and those races have many different lengths. 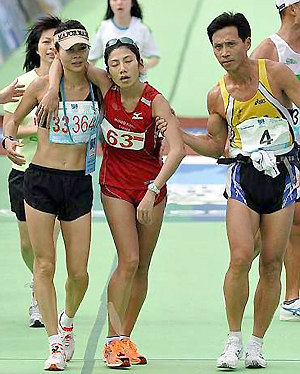 They need to train differently depending on the race. The funding system we have for services right now is a training system geared toward only one race and one length, and that length is probably the least desirable length out there (which for me would be the 3,100 mile race – I mean seriously – who does that? ).